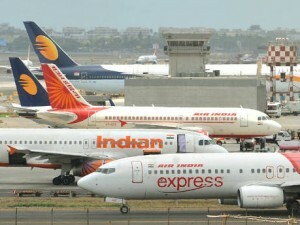 To promote airlines to extend their service to Kerala, the Kerala government has decided to slash the tax on aviation fuel to 5 per cent from the current 28.75 per cent for domestic airlines. Making the announcement in the assembly during the discussion on the state budget for 2019-20, state’s Finance Minister TM Thomas Issac said that not only airports under the UDAN scheme but also non-UDAN airports would get the new tax breather in the state. “The tax on ATF will be reduced to 5 per cent from the existing 28.75 per cent for domestic airlines operating service from the state airports. A revenue loss of Rs 100 crore is expected through this,” he said. The tax cut is expected to benefit Thiruvananthapuram, Kochi and Kozhikode international airports as the government had already decided to levy only 1 per cent fuel tax from airlines operating service from the newly commissioned Kannur airport. Aviation fuel accounts for a major portion of operating cost for airlines. The tax cut can help become Kerala an attractive destination for various airlines as neighboring states like Tamil Nadu and Karnataka are charging a state tax of 29 and 28 per cent, respectively on jet fuel. The tax cut benefits would benefit only domestic passengers as the international airlines that operate to and from the state have not been charging VAT as per the new GST regime. Kerala Government has allotted Rs 100 crore each for the Alappuzha and Thalassery Heritage Tourism projects in its budget for the year 2016-17. The annual budget was presented by Dr Thomas Issac, Finance Minister, Government of Kerala. Another Rs 400 crore was allotted for improving the existing infrastructural conditions in select tourism destinations identified across the state. A ropeway project was also announced at Ponmudi. For which Rs 200 crore shall be allotted. The budget also proposed development of air strips at Bekal, Wayand and Idukki in order to connect far flung destinations. However the bus trips to Bengaluru and Chennai will cost more now as tax of tourist buses has been increased. Green Tax on old vehicles and goods transport has also been increased by 10 per cent. In a bid to simplify tax regime, Delhi Government has announced increase in threshold limit of Luxury Tax from existing Rs 750 to Rs 1,500. “This will reduce tax burden on citizens and tourists and make it easy for small hotels to do business,” said Delhi Deputy Chief Minister and Finance Minister Manish Sisodia. The government has decided to introduce self declaration in Luxury Tax. Assessment of all hotels is compulsory and will be done on random basis. The revenue collection from Luxury Tax has seen an increase of 36.7 per cent. As against last year’s Rs 322 crore of revenue from Luxury Tax, this year will exceed Rs 440 crore is estimated to be collected. Last year, the government had enhanced Luxury Tax from 10 per cent to 15 per cent for all applicable establishment.